India introduced a constitutionally ‘encouraged' local governance system at grassroots level in 1950 called Panchayati Raj (PRI). PRIs are now over two decades old forming the third tier of government and carrying huge responsibility as the bridge connecting citizens to governance and delivery mechanisms. With over 65% of India living in its villages, the performance of PRIs is crucial for poverty alleviation, enhancing livelihoods and more importantly attaining distributive justice. This chapter examines local governance in India primarily from three platforms – history, representation and delivery, to see whether its performance matches its promise. Obstacles to the development of PRIs and role of political will to sustain it are deliberated and some suggestions made. In essence, it suggests that democratic decentralization in the model of PRIs can only succeed when institutions function unaffected by party considerations and political citizenship is facilitated through voice and awareness programs. The traditional view on governance was the exercise of authority and control over public affairs by a political entity. In the aftermath of World War II, the world came to believe that governance meant preventing conflicts, enforcing peace and thereby facilitate enjoyment of fundamental rights for the citizens. The top-down approach of the early decades of 20th century presumed that people are at the receiving end of the spectrum and governance (and the powers to govern) is the exclusive domain for the polity and bureaucracy. However, as the world went through the Cold War era, a growing realization dawned that people are the stakeholders in governance and involving them in the process of public decision making was integral to achieving social development. This view was further strengthened when major players like World Bank realized that development assistance for developing nations could fructify only when the institutional mechanisms in the beneficiary are transparent and administered through a participative process. The world today looks upon governance as a discharge of trust that the people have reposed on their government, irrespective of the form of government or the political philosophy that guides its functioning. The rigid concept of sovereign power that treated people as ‘subjects’ has steadily been replaced with an acceptance that people are stake holders in governance. Over a century after Abraham Lincoln proclaimed that democracy is ‘by the people, for the people and of the people’, democratic traditions in the world are coming around to accepting devolution of power to people as key to good governance. The rational appears to be that citizens have a right to make their own choices on matters that affect their life. While this appreciable trend has gained ascendancy across the world, we find different levels of understanding on the concept of democracy and therefore different ways in which it is applied as the foundation of governance. From the mid 1990’s, donor agencies, particularly World Bank started paying substantial attention on the institutions of governance in the recipient countries. The adoption of World Governance Indicators (WGI) by World Bank and similar standards by ADB stimulated a major shift in the way governments approached governance in developing countries. 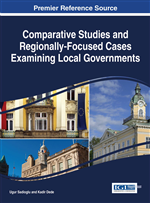 Among the six-fold parameters developed by Kaufmann, Kraay and Zoido (Kaufmann, Kraay, & Zoido, 1999), Voice & Accountability and Control of Corruption emerged as the keystones for advocates, practitioners and citizens campaigning for strengthening local governance. At the same time, the United Nations, facilitated by a new world in which Cold War ideologies had ceased to fuel conflicts, applied its energies towards ameliorating the social, economic, cultural and political conditions affecting the freedoms of people. As a result, human rights and sustainable development emerged as the mantras that influence multilateral, bilateral and world opinion on matters of governance. These mantras serve as the bedrock of international relations and the substance for Millennium Development Goals (MDG). Another interesting outcome of the end of Cold War was the emergence of strong International Non-Governmental Organizations (INGOs). Their activisms bear considerable pressure on governments for translating these goals into social-political-economic agenda for governance. Along with these developments, the internet and advances in communication shrank the world bringing about an unprecedented revolution in citizens’ perception on governance. Hitherto unheard of struggles for livelihoods, natural catastrophes, government repression and all such other phenomena caught media headlines and literally forced governments to display more responsibility, transparency and accountability in the exercise of their sovereign power. Through a combination of these developments, political leaderships across the world have adopted progressive steps to bring governance closer to people and make them rightful participants in decision making.